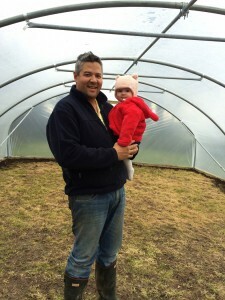 Since Aisling was born we’ve become more aware of the food we eat and where it comes from. We always dabbled with growing our own fruit and veg but this year we took it to a whole new level. 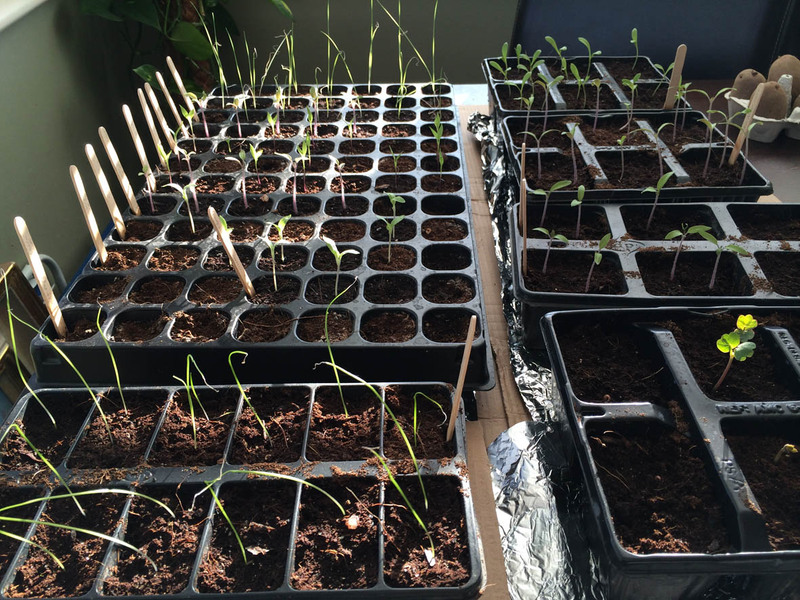 We turned our dining room table into a propagation area for seedlings and we invested in a polytunnel! Tomatoes, leeks, chilli, aubergine and nasturtiums. 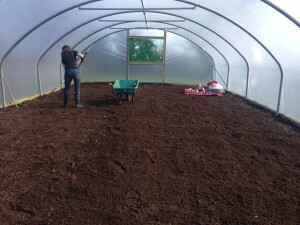 Preparing the ground in the Polytunnel in March while Aisling plays happily in the corner! This May bank holiday was the first bank holiday in a long time I didn’t pack my bags to go somewhere. 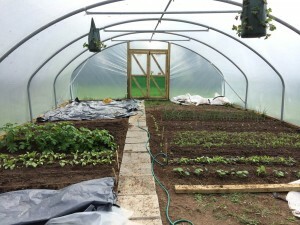 I chose to stay at home to work in our polytunnel. Yes, you heard right, And you know what, I really enjoyed it. I’m also really looking forward to cooking with the produce. It will be a great sense of pride and achievement and peace of mind that we know we’re eating chemical free food. As Aisling gets older I hope she will have her own patch to grow what she likes and that it will entice her away from the TV for a few hours. 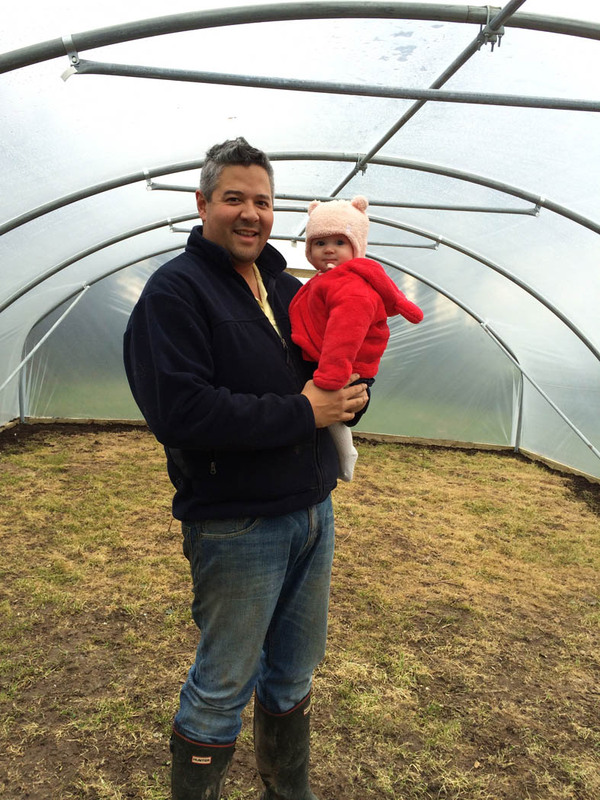 Most importantly, I hope to instill in her a love of growing her own food that she will cherish for years to come. We have a lot to learn and this year will be trial and error. We have found GIY to be a great source of information. Unfortunately there isn’t a GIY in our area but hopefully that will change. 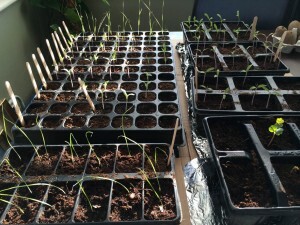 Do you grow your own food? Do you have any advice you’d like to share with us as we begin our growing journey? Please leave a comment underneath, I’d love to hear from you. Looks great, I look forward to checking in again to see the progress!